Welcome to a real hosting provider! To change hosting and move your website, e-mail and your domain name to Loopia is easy if you follow the guide below. If you get stuck at some point, you are always welcome to contact our support, which is open for you every day of the year. Start by ordering one of our hosting packages that suits you best. Select that you already have a domain and enter your existing domain name (the address of your website without the www). Please note that your current website will not stop working because of this, since no traffic is redirected when ordering a hosting package. If you have a standard HTML page, download a copy of your website from your current provider, usually using an FTP program. Then upload the copy to your Loopia account via FTP. If you have a blog at another provider today (such as WordPress.com, Blogg.se or Blogger), you can easily move that one as well to Loopia. If you have a MySQL database at your current provider (eg WordPress is powered with a database), you can transfer it to us with help from the program MySQL-Workbench. You can also request a copy of your database from your current provider and import it into your Loopia account directly via phpMyAdmin in your customer zone. When the transfer of your website is complete, check that everything is in place and functioning properly. To test that everything is okay before you redirect traffic to Loopia you can enter the address http://yourdomain.se.loopiadns.com (where you replace yourdomain.se to your domain name). Note that some systems, such as WordPress and Joomla requires you to make minor changes on the website for it to work when you test it. You will then restore these changes when traffic is redirected to Loopia. To upload your e-mail addresses and transfer all previous e-mails is not very difficult either. When your page is working properly and you have created all e-mail accounts, it is time to redirect your visitors to Loopia. That you can do in your Loopia Customer Zone. If you are unsure of which redirections to be changed or added, please contact our technical support for help. When you have checked that everything is transferred, and that everything works as it should, it's time to terminate your current web hosting provider. Money back guarantee! We apply a 30 day refund policy on web hosting. If you’re not satisfied with our services, you will get your money back. Possible domains and extra services such as Office 365 are not covered by the warranty. Are you missing something in the guide above? If you have any questions, please contact our support. Free SuperSupport are included in all our services. Hey, do you need assistance? 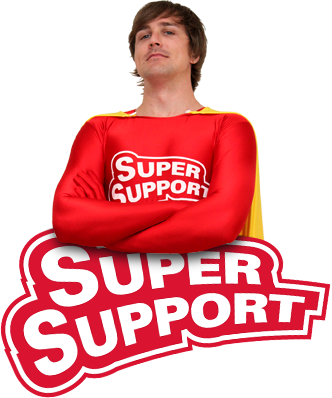 Our popular SuperSupport is here to assist you. Enter your inquiry below and we will help you. Enter your phone number and we will call you as soon as possible. Try again, or contact us at support@loopia.com or +46 21-12 82 22.